The recent hacking of two major brand accounts (Burger King and Jeep) should have prompted some conversations and concern among those of you who manage a Twitter account for your brand. Whether you’re a Fortune 500 multinational or a local small business armed with Tweetdeck and a prayer, it’s time to do some deeper thinking about security. Fortunately, for both Jeep and Burger King, no permanent damage was done to their reputation or the value of their respective brands. Twitter issued a security fix! The lack of lasting effects served to drop this off the radar for those who might have a stake in reputation management, and “out of sight” generally translates to “out of mind” on things we really don’t understand. The “fix” Twitter announced only covers a small subset of the vulnerabilities. In the past, Twitter has told people affected by those malware links to change their passwords, as a precaution. It’s hard to know for sure if your password was snagged, but better safe than sorry, and I am not about to doubt the ingenuity of a hacker’s ability to pull it over the net. But not all hijackings involve links. Often, it is a failure to protect the email address associated with the account. If you’re hesitant about strong passwords because you can’t remember them, and limited memory, then save the strong stuff for your mail accounts. The password to your email is often the keys to the kingdom. Say that out loud with me. The password to your email is often the keys to the kingdom. From there, you can get anywhere. Twitter, Facebook, bank accounts, your Dropbox… just, wow. Your email is under attack all the time, by the way. You laugh off most of them, because it’s so obvious that you don’t have an account with Royal Bank of Scotland, and Citi, and eBay, and PayPal, and Wells Fargo, and waitaminit I do have some of those. We laugh at the ones that are so obviously not meant for us that we might fall for the others. 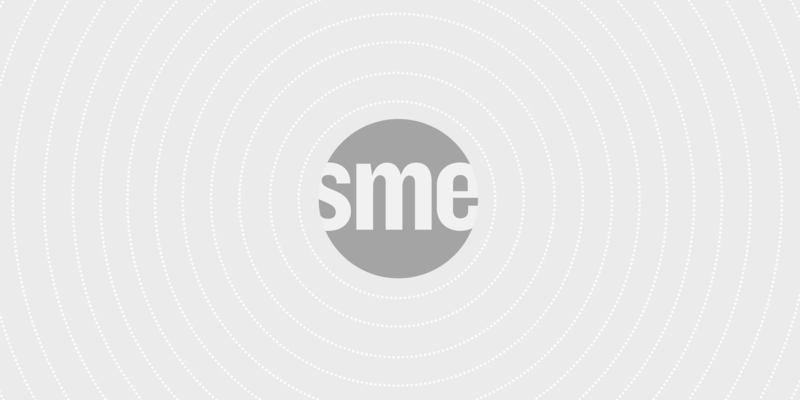 We’ve recently learned about attempts to improperly access the SME.com email server. We’re on top of things, but just want to ensure safe delivery of our findings. Please log in to your email below to authenticate. Thanks. Now, we haven’t heard the specifics of how Jeep and Burger King got hacked, but emails similar to the one above were circulating a month or so ago. Wouldn’t surprise me in the least if the email accounts of a brand manager or two got snared in something like this. Twitter announced action less than a day after Jeep’s episode, but it isn’t enough. Essentially, Twitter is using a more robust security protocol in the sending of its official notification emails: the Daily Digest, the New Followers, the You Got a Direct Message… So if I tried getting your Twitter password by spoofing a Twitter email address, it would be more easily recognized as fake. But that does nothing for the person whose email account is compromised completely! “But Ike,” you say… “Ike, that’s not Twitter’s problem. That’s on you.” And you’re right. But there is a very simple step Twitter ought to take that would make brand managers more secure. It’s called Two-Step Authentication, and you probably already use it. It involves a secondary step anytime a critical account change is requested. If you want to change the password, or the account name, or the email address associated with the account — it makes you jump through an additional hoop. It might be a challenge question, or could be a text message to a cell phone you’ve associated with that account. Essentially, the Two-Step foils many associated attacks. That last one bears some explaining. If I want to take a stab at getting the SME Twitter password, I can try phishing for the email address associated with the account. But if the Twitter handle is registered to ZaphodDaleks20xd6@SME.com, then I probably won’t find it. And if that email address is used for nothing else, I won’t know it exists. Most importantly, have a plan. Know the process for initiating a password reset, and go ahead and assemble a Cheat Sheet of who you would need to alert for each of the networks you’re using. You will never be hack-proof, but the above steps will make you a harder target, at least until Twitter and Pinterest and others step up their own game with Two-Step Authentication.